After 11 million purchases for PC and XBLA, Mojang's indie hit is ready for Walmart. It doesn't take a statistics expert to realize that Minecraft is one of the biggest indie hits of this gaming generation. The game has done so well that its sheer success is measured in the millions, such as the million sales for the XBLA version's first week or the millions Mojang now controls. With approximately 7 million sales for PC and 4 million sales for XBLA, there is really only one market left for Mojang's first game to capture: retail. This is about to change starting today, as US shoppers can now buy a PC copy of Minecraft for their very own at Best Buy, Target, and even Walmart. Before the collector-minded among us rush to pick up a copy of their own, don't worry, the retail and digital copies will be identical. 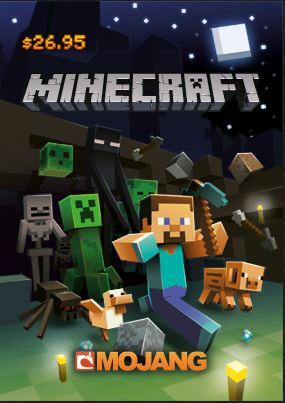 An in-store Minecraft purchase will provide you with a pre-paid card that unlocks the game from the Minecraft website. The card will cost $26.95, the same price as buying the game from Mojang's digital store, which could make it a perfect gift item as the holidays approach. The cards will likely attract audiences who don't use digital marketplaces, which is still a massive chunk of the videogame market. If Minecraft for XBLA continues to grow in popularity (spoiler alert, it probably will) then XBox Live cards will likely follow. From a business perspective this is a very good move, but personally I think I'll hold out for Minecraft Collector's Edition. One that comes with a recipe book, stackable blocks, and an exploding plush Creeper. Make it happen, Notch!